Piano Contest On Facebook Draws International Attention! 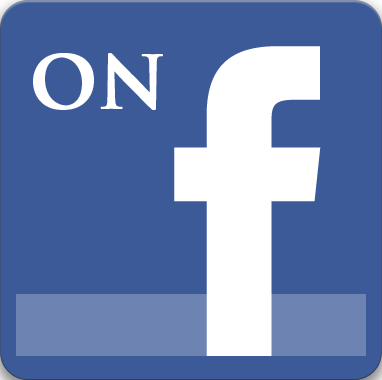 Have you seen what's happening on Facebook? It's history in the making! That's no hype. Facebook gets results, especially when you are innovative and run a never before seen "Win A Free Piano" contest, with the winner determined by fans around the world voting on their favorites. The Grand Prize is a Knabe Baby Grand Piano, followed by a Steinway upright and an Aeolian player piano. Seven runner ups will receive Sonny's Piano Yoga "Play Piano Instantly" DVD kit for learning piano. Just watch how quickly the Sonny's PianoTV contests begin to grow exponentially as Facebook fans hear more about it. It's the "Piano Idol" show in the making. After all, who doesn't love to hear a good piano rendition of their favorite song? The pilot contest is receiving votes from worldwide locations including Taiwan, the Philippines, Australia, Russia, Canada, and England and changing the face of the Internet piano world. The contest is entertaining, exciting, and the contestants come from all walks of life. The contest pilot includes contestants in the United States only, but fans are asking for more locations to open up in the future. Video contestants range from serious classical and jazz musicians to children learning to play. The motivation for voting is based on performance quality not just talent. It is open to anyone playing a keyboard in their own way, and having fun doing it. It is a contest for everyone, and things are really getting serious now that the deadline for voting, December 19th, is inching closer just in time for the holidays. Contestants are ramping up voter support in order to win the Grand Prize Knabe Baby Grand Piano, and there are some great videos in the running. Darrel Ferris, of New Orleans, La., with his beautiful "Nocturne 1er" by Erik Satie, at 1,590 total votes is just 8 votes ahead of Sasha Voinov at 1,582, and his entertaining version of Fantasy on "Frosty The Snowman", but these two young men have been duking it out from the beginning so it's anybody's guess who will come out ahead. The order changes throughout the day, depending on what time of day you view the results. There is also the "sleeper" video version of "If I Die Young" with Mick accompanying his wife, Jeanie just back at 1,124 votes, but shrinking the gap quickly, in spite of having entered a week later than the others. At 725 votes, we have a beautiful version of the old classic "As Time Goes By" by a young man playing his grandmother's piano, and conjuring visions of "Casablanca". Other videos have a lower number of votes, but are not lacking in quality, and it's still anybody's game. The contest has received thousands of votes since it's beginning on November 12th. At the helm of the contest is Sonny Stancarone of Sonny's Piano TV. Sonny is passionate about pianos and started playing when he was seven years old. He is an expert in piano history and can capture your attention for hours with his knowledge of individual piano models and the various companies that have manufactured them over the years. His mission: To promote piano playing for health, relaxation and wellbeing, and as something we can all do. The contest is certainly accomplishing his goals and bringing piano playing into homes across the globe!